Rockstar's first game built for current gen, Red Dead Redemption 2, is a real looker. Especially when you consider how big and detailed it is, the game's visuals are pretty incredible. However, the technical achievement has supposedly been dulled with the latest update. According to one particularly keen-eyed player, patch 1.06 alters or removes ambient occlusion from the game. The left image shows the game before the update, and the right image shows the same scene after installing the patch. There's definitely a difference; the second picture looks muted and flat compared to the first. It's unclear whether this change is intentional. The patch notes for version 1.06 only mention updates to Red Dead Online, so there's a possibility this is just a bug of some sort. Are you bothered by this change to Red Dead 2's visuals? Have you noticed a difference? Hitch your horse in the comments below. I'm not usually bothered by stuff like this, but my question here is: Why? It's not like the game's performance was being adversely affected by having these effects in place on PS4. Both machines can handle it. It would be interesting to see if something similar happen on the Xbox version of the game. If you expand the picture, it’s not just flat; the light on the stairs is almost completely missing. Strange. At least the puddles are still in the game. I probably wouldn't have even noticed if I hadn't read this. Looks like someone forgot to turn ambient occlusion back on. I bet this really ruined that chap's day. Anybody seen that video on PS Live of Arthur being hit by lightning? I didn't think it was possible. Why would someone who played this on the PS4 or PS4 Pro care about the graphical downgrade? Surely they would have bought the Xbox One X version if this was a concern? @MadAussieBloke 🤣🤣 well done, Sir. 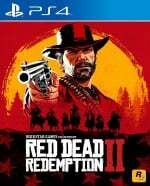 I wouldn’t say I’m a complete graphics nerd but I do buy certain games on PC if the graphics would make a difference and I do wish that RDR2 was available. Resi 2 with almost maxed out graphics was incredibly immersive and the lighting added to the tension. RDR2 was such a great game already that honestly, the graphics could have been PS3 level and it wouldn’t have made THAT much a difference. Well, that just ruined the game. I am outraged. I am absolutely bothered by it. How can anyone NOT be bothered by it? 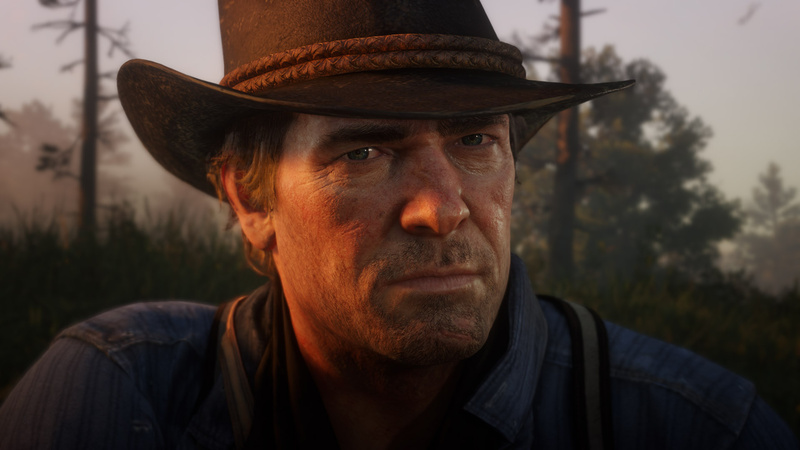 The visuals in RDR2 is one of its most fascinating aspects, and Rockstar just gone and completely ruined it. @Dubya75 You and I just said the same thing, and for some reason you are insulted. I guess I don't have the brain power to understand your logic. @Salmonella I am sorry. I read your comment as being sarcastic. My apologies. Maybe they were trying to fix Hdr and messed-up something else (ao)? For God sake calm down people there isnt that much difference I've seen it close up on the ps4 pro. So stop acting so dramatic because the game isn't ruined at all. @Salmonella Wait, your original comment wasn't sarcastic? I originally upvoted it thinking you were taking the piss out of this whole mess. But you're serious about wanting a refund because of this, and you're actually outraged? Really? Did they even fix HDR yet? I made the mistake of buying this on my XOX instead of my Pro. The image looks like I've put my TV in the bathroom and taken a shower so the screen steamed up like the mirror. The only way around this is to turn off HDR at hardware level as there is no in-game option. Then I have to faff about going in and out of the console menus and changing the video settings back if I want to play a decent game instead of this shovelware. At least PS4 games have a toggle in the game menu. @Toypop as I remember, I've switched it off in the in game settings menu. @Rob_230 yeah, shadows are longer in the second one, it's obviously later and so the lighting is more red (and thus the color is muted). This is much ado about nothing. I'll still wait for the PC version though. @ApostateMage Oh I saw it all right. I spent hours trying to get struck by lightning, and this chancer just gets hit at random. I was walking around in storms with my gun in the air and everything. @Gremio108 Ha! I was doing exactly the same thing. I was actually made up when I saw that video. Lucky beggar. Ambient occlusion is now buyable with gold bars. Gotta love the micahtransactions. I'll wrap up the campaign in the next couple of weeks. Rockstar, feel free to ruin the game afterwards! Ambion occasion doesn't take that much off the GPU I have a pc that's for a 2600k and a AMD 7850 2gb and if I turned it on with [email protected] with some games medium and some high it still looks and plays fine heck Fallout 4 plays very well. I can see that’s ‘triggered’ a lot of whinging. Wow, some folks are really into their games... I’d have never noticed. Didn’t something similar happen with gta 5 on PS4? I remember them accidentally turning off parallax occlusion, it was patched a few weeks later I think.